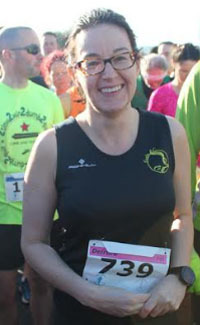 Club Notes for January 2019… by Karen Bevan & the news team. Hope you are all well and everyone enjoyed the awards night out. Well done again to the winners and indeed to everyone who was nominated in each category, there was some pretty strong competition in every category which shows the strength of the club overall, well done everyone. Thank you so much to those involved in organising the night with special mention Damian, Ed Fitz, Grellan John D and Colin who put a lot of time & effort into the evening. We have a huge number of Eagle runners signed up to run Dungarvan 10 mile this Sunday we wish you all the very best of luck, hope its an enjoyable day out and you achieve what you are aiming for! Best of all the spread at Dungarvan after the race is always fantastic !! On a serious note our club race is also drawing closer and we still need volunteers to come forward. The area leaders and their contact details are below so please do contact them if you have not done so already. We as a club also provide the food sandwiches, cakes, buns etc for this race so I hope you are all as good at baking as you are at running. Final reminder for tonight but also on a time schedule Pat Murphy sent out an email on Tuesday night for members that would like to take part in the Munster Indoor Track Championships which take place in Nenagh on Feb 9th & 10th, Closing date for entries is early next week so please do get in touch ASAP. Sorry another Final reminder… If you have not paid up your registration for 2019 please get it in ASAP! Please continue to share our club race on social media & promote it wherever possible . 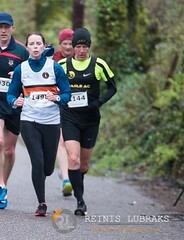 The Eagle AC Carrigaline 5 Mile Race is taking place on Sunday 17th February. We are asking club members to be available on the morning of the 17th February to help us out and to make sure the event runs as smoothly as possible. A large number of volunteers are required to run these events and family and friends are always welcome to help out too. As usual with our Carrigaline race we ask people to bring cakes and sandwiches on the day, please contact Karen and let her know if you can bring some food for after the race. See the list of Area Leaders below with their contact details, please contact them directly. Remember to include your mobile number in the email. Cost of Annual Membership is €50 for individuals and €60 for families..
With so many running Dungarvan and the unpredictable weather, we do not have many long runs this week. Pace: 8.30 mm for first 11 miles and tempo Parkrun aim for 7.30 mm, easy warm down. 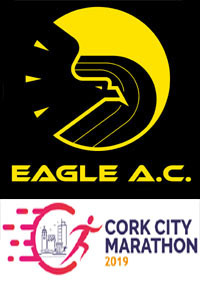 Eagle AC Carrigaline 5 miles road race Sunday 17th Feb: Lots of volunteers needed to assist on the day, so please do put your name forward. We hope to continue the strength and conditioning workshops for the month of February with a possible move to Wednesday evenings and we hope to have one or two west of the city.The number and frequency of these sessions will depend on what the level of interest is like. 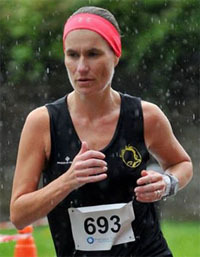 A grand total of 59 Eagle AC members have entered the 2019 Dungarvan 10 mile road race. This is the 3rd highest of the Cork clubs with only Mallow AC (87) and Midleton AC (74) being higher. 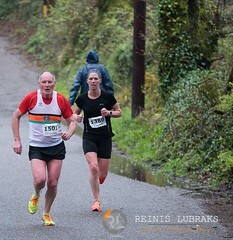 Please let us know if you or a fellow club member are taking part in races outside of Cork we would love to include the results in the weekly email, but it is simply not possible to monitor all races. Thank you for your help! Hope everyone is keeping well. The weekend of the CLUB AWARDS Night, is upon us, this Saturday Jan 26th 2019, The Bodega Corn Market Street, start time 8.30pm. We would love to see everyone there on the night, it’s always a good night out and a great way to get to know club members, especially if you are new to the club. So don’t be shy, swap the running trainers for the dancing shoes and come enjoy the night! Nominees it goes without saying you need to be there to see who will take home the awards this year! 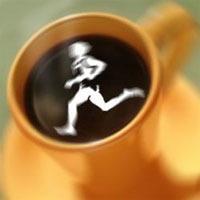 The Eagle AC Carrigaline 5 Mile Race is taking place on Sunday 17th February, now 4 weeks away. If you are available on the morning of the 17th February we’re asking you to help us out to make sure the event runs as smoothly as possible. I know it’s still a few weeks out but we’d really like to get as many people as possible to volunteer soon. Family and friends are always welcome. We are delighted that we now have 9 people to complete the CPR/ AED Course. The names of those who contacted us have been forwarded to the Eagle AC committee and a date time etc will be looked into for the course. Interested individuals will be contacted in due course. Thank you to those who have put their names forward to be involved in this very worthwhile course.. Cost of Annual Membership is €50 for individuals and €60 for families. Plenty of choice in the long runs this weekend, thank you for all of the runs provided. Please contact the run leader if you plan on joining. 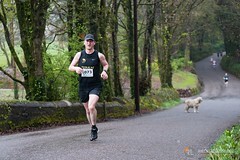 Well done to Mark who was first home at the Ballincollig Parkrun last Saturday! Mark’s first time at the run! Elaine was 3rd lady home on the morning. Well done to all members who took part. 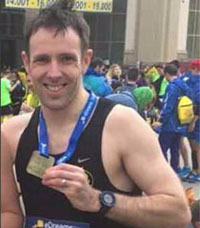 Well done to John Desmond, Tim McCarthy and Damien Malone, who completed the Ballyhoura Moonlight Challenge Half-Marathon in the early hours of last Saturday morning.. 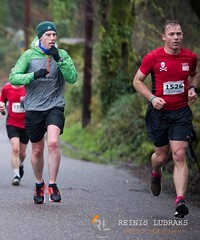 I cannot find any results listings yet, but I have read the guys ran together as a group and finished in about 2 hours and 35 minutes, there was a 500m ascent in this half marathon. Reports back are of an enjoyable race and something different to be experienced once! CLUB AWARDS Night: Saturday Jan 26th 2019, The Bodega Corn Market Street. Eagle AC Carrigaline 5 miles road race Sunday 17th Feb: Lots of volunteers needed to assist on the day, so please save the date! The strength and conditioning workshops have commenced in the Little Island Community Centre on Monday evenings at 7pm. Kieran McKeown is leading the session and only a certain number of members can take part in each one.The number and frequency of these sessions will depend on what the level of interest is like. If there is enough interest, we might look at other venues towards the west of the city. We will then set up a rota for those that answer the survey. If anyone has anything that they would like to add to the Weekly club email or we have missed anything please do let me know, by 6 pm on Thursday evening if possible. Hope everyone is keeping well and that January isn’t taking it toll on people! We have just the thing to lift those January blues with the CLUB AWARDS Night out on Saturday Jan 26th 2019, The Bodega Corn Market Street. We hope to see many of you there on the night, it’s always a good night out and a great way to get to know club members especially if you are new to the club. So don’t be shy come and join us for a night out without the running gear! Best of luck to those brave club members who are undertaking the Ballyhoura Midnight Half Marathon/ Moonlight Challenge this Weekend- commencing at 2: 30 am Saturday morning, Tim McCarthy John Desmond are taking part, I am unsure if there are any other members involved. Good Luck! Please continue to share our club race on social media promote it wherever possible . 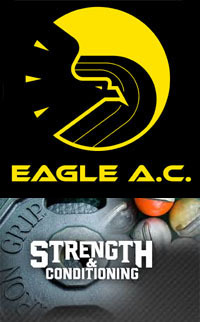 The Eagle AC Carrigaline 5 Mile Race is taking place on Sunday 17th February. It’s just under 5 weeks to go and it will be here before we know it! Remember to include your mobile number in the email.CPR/AED Course. This is a final call for members to attend this course. We currently have 6 members that are interested in attending the CPR/ AED training course for the club. We need two more to reach 8 which is the minimum number for the course to run. NO date has been set as yet as we have not reached the required numbers but this will most likely run for 3-4 hours on a Saturday morning. The cost of the course would be covered by the club. Please do let Mairead or myself know if you would like to attend. Should we not reach the required numbers to run a course for the club those interested will be offered a place on an existing course that will be run locally. 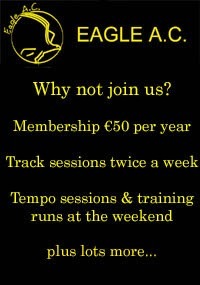 Club registration night at the CIT track on TUESDAY 22nd JANUARY. 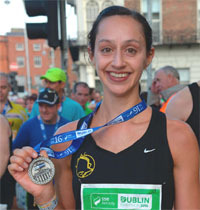 Mairead will be available at the track from 6.40 pm if anybody wants to pay their membership fee then. See below for club members spotted in the prizes of the most recent BHAA race, which was held in Little Island last Sunday. Well done to all club members who took part in the race. 4 members were out for the first MMRA race of the season. 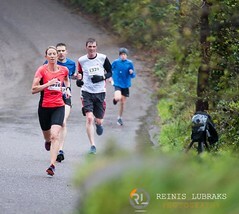 The Corrin Hill race was a6.6km trail run with a 260m climb. Well done to all involved on the day with a special mention to Denis Carroll finishing first place in his category. 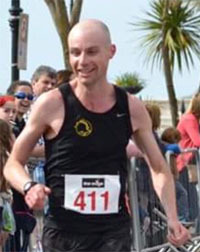 104 John Swanton M 41:09. CLUB AWARDS Night:Saturday Jan 26th 2019, The Bodega Corn Market Street. The next important date for your diary is next Wednesday the 16th January at 8 PM, when we have our Club AGM in the Imperial Hotel on South Mall. It is really important that we have as many members as possible at the AGM so please do try to attend. Plans will be discussed for the year ahead along with the clubs progress over the past year, and you get tea/ coffee biscuits too! Look forward to seeing you there! So if you haven’t done so already be sure and vote for your nominees for this years club awards below. Remember the closing date for casting your vote in the 2018 Club Awards is this Sunday, 13th January. Winners will be announced at the club awards night in the Bodega on 26th January. Online registration has opened for our Club race on Sunday 17th February 2019, please share on social media, share the link below or print the flyer to put it on work, school or community notice boards, the more publicity we get the better! Although there are a lot of races over the next few months, there are not many 5 miles, so it is a great stepping stone to the spring ten milers! Club members are asked for the most part to help out on the day and there will be additional emails about this in the coming weeks. 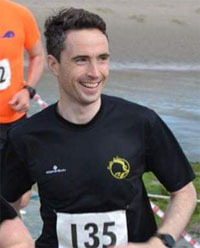 Tomorrow night Friday the 11th January is the closing date for transfers for the John Treacy Dungarvan 10 mile race. Only a small number of members (2-3 members) have expressed interest in doing this course. We need 8 names for the course to go ahead. Please do let Mairead or myself know if you are interested and we can proceed from there. The cost of the course would be covered by the club. Colin will be at the AGM on Wednesday 16th January, so you can pay him there. Club registration night at the CIT track is on TUESDAY 22nd JANUARY. Thank you for all of the runs this weekend. Please contact the run leader if you plan on joining. 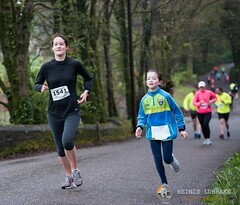 Well done to all club members who took part in the first BHAA 5k of the year. As clubs are not listed the following are club members spotted in category prize positions. Plenty of other Eagle AC members out on the morning too and well done to all involved. 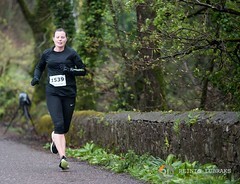 Olga was second lady home at the Ballincollig parkrun on Saturday. 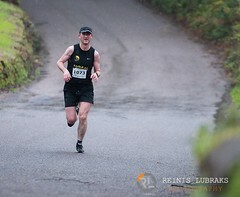 Well done to Patrick who took part in this 10k last Sunday. A great time on what was a hilly course. CLUB AGM: Wednesday Jan 16th 2019, 8pm The Imperial Hotel.